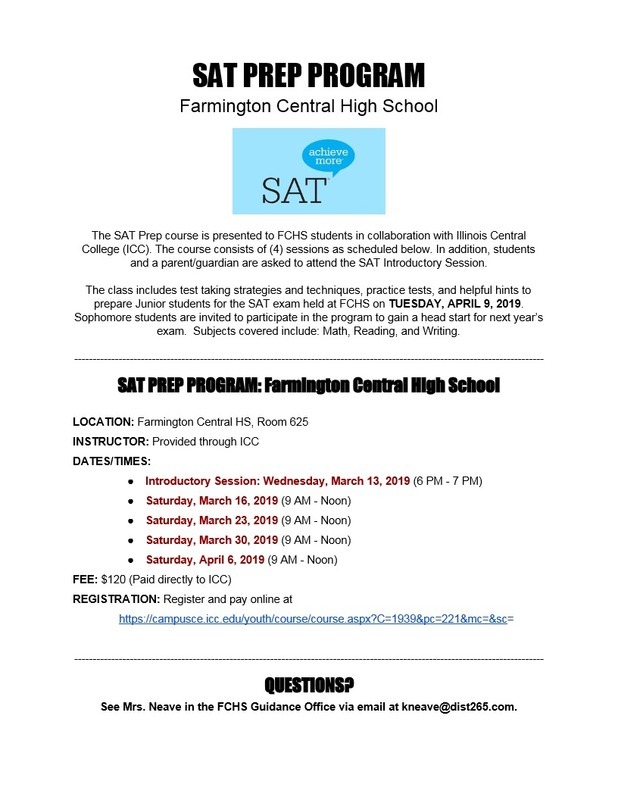 ICC will be hosting a SAT Prep Program here at FCHS for students - it is open to both Sophomores and Juniors. Please encourage your students to sign up. This is an excellent opportunity for your student to get some practice before the exam or get a head start for next year. The course consists of (4) sessions as scheduled below. 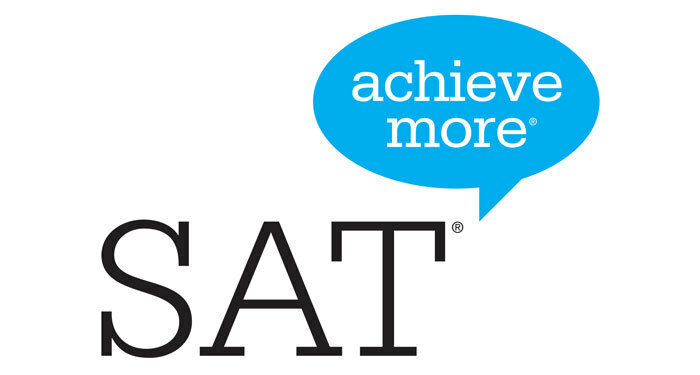 In addition, they ask that a parent/guardian along with the student, attend the SAT Introductory Session. Subjects covered include: Math, Reading, and Writing. The course price of $120.00 includes a textbook and all classroom materials. You will need to register your student and pay online at: https://campusce.icc.edu/youth/course/course.aspx?C=1939&pc=221&mc=&sc. If you have any questions regarding the program, please feel free to email kneave@dist265.com.